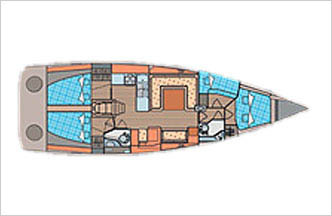 The new Elan 450 is featuring the twin rudder system. 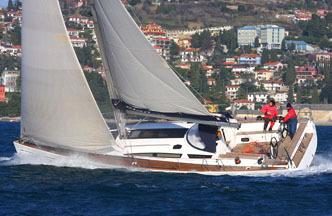 Its sleek and lines and extended water line length combined with large sail are and retractable bow sprit is a promise for fast and safe voyages. 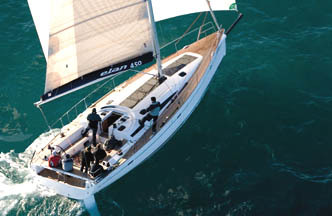 Under deck the new Elan 450 welcomes the crew of up to 10. 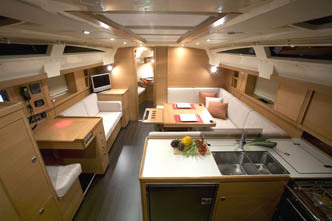 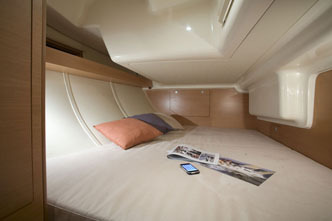 Its bright interior and lots of storage offers the crew ultimate.